Hope all of you had a great time over the weekend! My kids didn't make it to the final spelling bee contest on Saturday. Little A was taking it easy but Big A was disappointed. So after the contest we went out to have lunch, bought some books at the Kinokuniya book store, and watched a movie. Big A seemed happy and forgot her disappointment. I got the newest Akinoichigo's bento book (8th) that I ordered 2 weeks ago. I'm her fans and have been learning so much about charaben bento from her bento books. Her newest book is very inspiring as always, a lot of fresh ideas inside. You can see her other bento books that I posted here and here. I made 2 green girls. Shaped the onigiri by hand and used green deco furi for the green part of the onigiri. Also stuffed some char siu inside the onigiri. Inside the other box : hard boiled egg, stir-fried lap cheong with celery, stir -ried veggies (carrots & cauliflower). 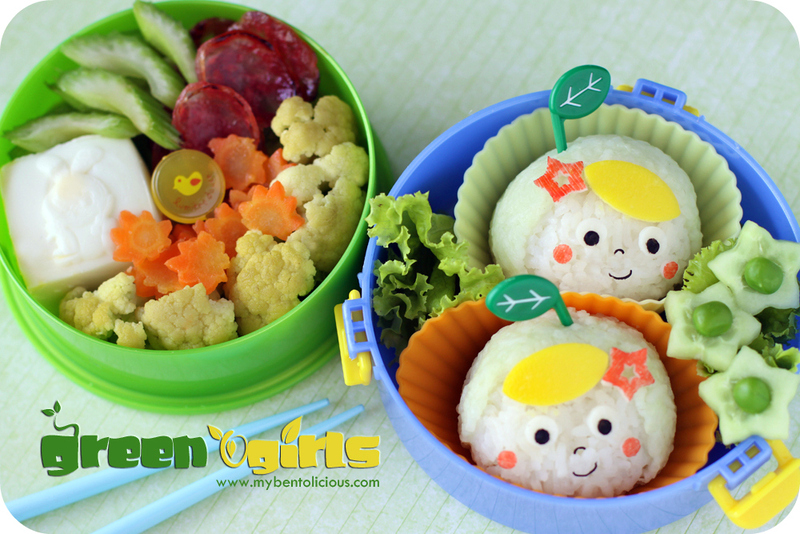 Yesterday, I did 3 simple bento photo shoots including step-by-step for Sekar magazine. It was a great experience! And I wanna thank TUM and Sekar Magazine for the opportunity. This week, I will just prepare bento for today and tomorrow. I will be in Singapore from Thursday until Saturday. My parents will stay at my house and look after the kids. Wow, so exciting to have your bento and tutorials in print magazine!! Is that train yours? I love it. And I love the bento you made for your kids: So many stars to remind them they are always STARS no matter what. Congratulations and have fun in Singapore! Glad the kids aren't feeling so down anymore! So you live in Indonesia right? I didn't know they have spelling bee contest there, would have loved to compete when I was younger hehe. The green girls look lovely. So happy for your feature in the magazine! Congratulations :). And the kids... Glad to hear they are recovered from the spelling bee contest. They will be always winners and I am sure mama and papa are very proud of them, no matter what ^_^! Yay! Congrats to you for getting your instructions and bento in print! Will we get to see it too? For some reason, I can't connect to the Sekar website. Will try later.. Not only are you bentos so terrific looking but they look so appetizing too. Just the fact your kids gave it their all for the spelling bee makes them winners in the end! Great job kiddos. Have fun in Singapore!! Another great bento, Lia! 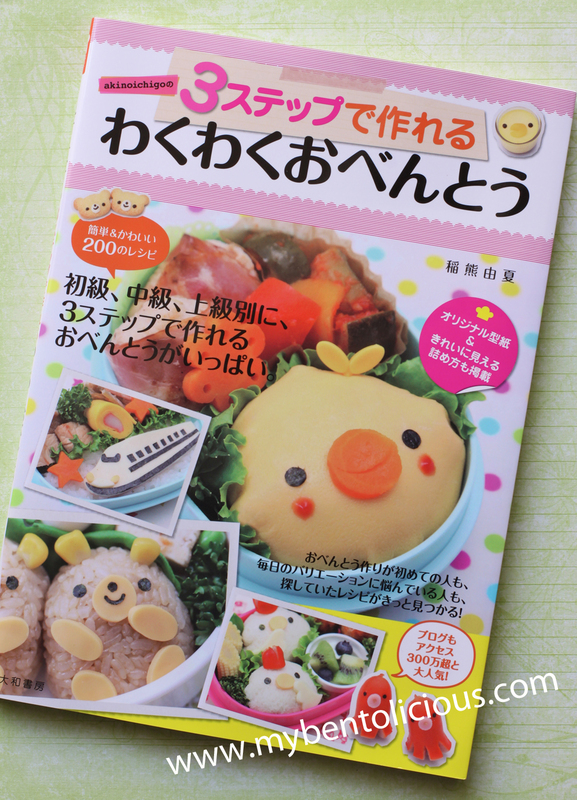 I need to buy more bento books too, I am a bit hooked on bento making now...;)! !